These terms and conditions apply to the use of this website at www.my1styears.com (the "Website"). By accessing this website and/or placing an order, you agree to be bound by these terms and conditions. Our company registration number is 7033682. Our VAT registration number is 979766725. Please note Sale items do not include a free gift box. My 1st Years reserves the right (i) cancel discount codes at any time; (ii) refuse to allow any individual to participate in offers; and (iii) amend these terms and conditions. You will be able to access all areas of this Website without registering your details with us. However, if you wish to register with the company, there are certain areas of the Website that allow you to do so. We may revise these terms and conditions at any time by updating this posting. You should check this Website from time to time to review the then current terms and conditions, because they are binding on you. Certain provisions of these terms and conditions may be superseded by expressly designated legal notices or terms located on particular pages of this Website. If you do not wish to accept any new terms and conditions after we have given notice, it is advised that you should not continue to use this Website. Our acceptance of an order takes place when we dispatch the order to the customer. When we dispatch the order the purchase contract will be made even if your payment has been processed immediately, unless we have notified you that we do not accept your order or you have cancelled your order for any reason. (f) If your order for personalised products contains content, which is deemed inappropriate for an order, i.e. threatening or abusive. All prices include VAT (where applicable) at the current rates. We reserve the right to express the price exclusive of VAT and include it in the total price. Our prices are reviewed periodically and the next review will be on 05/01/2013. We will deliver the Products ordered by you to the address, which you give for delivery when you make your order. If any of the details you have given us in your delivery address are incorrect, we are not liable for any items, which have not been received. If you require us to send out your item to a different address after it has been returned then there may be a charge for posting it out again. You may specify a delivery address, which is different from your billing address, if, for example, you would like us to deliver the Products directly to the recipient. We do deliver outside of Europe. If you are outside the EU, please just enter your address and change the country when specified. International delivery courier is Sky Net and the international orders may be subject to import duties and taxes which are levied when the delivery reaches the specified destination. You will be responsible for payment of any such import duties and taxes. Please note that we have no control over these charges and cannot predict their amount. Please contact your local customs office for further information before placing your order. If the order is Express Next Day Delivery and placed before 1 PM then it will be processed and dispatch the same day. Delivery will occur on the next working day in this instance. If you choose Standard Recorded delivery then we aim to deliver all mainland UK standard orders within 5 working days. However, during busy periods we cannot guarantee standard delivery orders to arrive within the 5 working days. We would advise that if you require your order by a certain date to select the nominated day delivery service. Whilst we make every effort to deliver goods on the day we specify, we cannot guarantee delivery on that day or accept liability for deliveries made outside this timescale. If you do not receive products ordered by you within 7 days of the date on which you ordered them, we shall have no liability to you unless you notify us by email at info@my1styears.com of the problem within 10 days of the date on which you ordered the products. In the event that we reproduce an item for you and subsequently the original is returned as undelivered, we reserve the right to charge an administrative fee up to 100% of the sales price of the reproduced product. We reserve the right to wait up to 10 working days from the date of dispatch before replacing an undelivered item. For most items, you have the legal right to cancel your order within 7 working days of receiving the goods. However, this does not apply to certain items, which we have made, personalised or customised specifically for you. It does not apply to any goods, which have been opened. If you wish to cancel your order you can notify us by email to info@my1styears.com or by telephone (0844 409 7020) before we have dispatched the goods to you or: Where goods have already been dispatched to you, the goods must be returned to us in accordance with the 'Returns and exchange' section below. Please note: In order to provide a fast service some products are immediately sent for production. Please check your order on screen and the confirmation email carefully as we cannot refund products, which have been mis-spelt. We reserve the right to cancel your order at any time and issue a full refund. We reserve the right to cancel any order that we deem offensive. If you are not completely satisfied with the goods, simply get in contact with our customer support team either via the form on the contact page or on the telephone. If it is a fault at our end, you can return them to us at any time within 14 days of receipt. We will issue a full refund or exchange as soon as possible after you cancel your order. The item is your responsibility until it reaches us. For your own protection, we recommend that you send the parcel back to using a delivery service that insures you for the value of the goods, as we cannot be held responsible for items damaged or lost in the post. We regret that postage and packing costs for unwanted items cannot be refunded. Even if you have qualified for free delivery when placing your order, a postage and packing charge of £1.25 per item will be levied on unwanted items and deducted from any refund given. We have had various comments from happy customers who think we handle returns and exchange of products better than any company they have dealt with as we quite literally make the customer go through no hassle. If the item you received is not what you originally ordered, please contact customer services quoting your order number, your name and address, details of the product and the reason for return, and whether you require a refund or a replacement. We will then advise on the next steps. We will rectify immediately and make sure the correct product arrives within 72 hours of you getting in contact. If the item you received is faulty, please contact our customer services team quoting your order number, your name and address, details of the product and the reason for return, and whether you require a refund or a replacement. We will then advise on how to proceed with the return. If the item is faulty, please return it to us within 30 days of receipt. Refunds cannot be given if the fault is as a result of misuse. We will be unable to accept the return of any item where there is evidence that washing instructions have not been followed. The item should be returned with its original packaging. 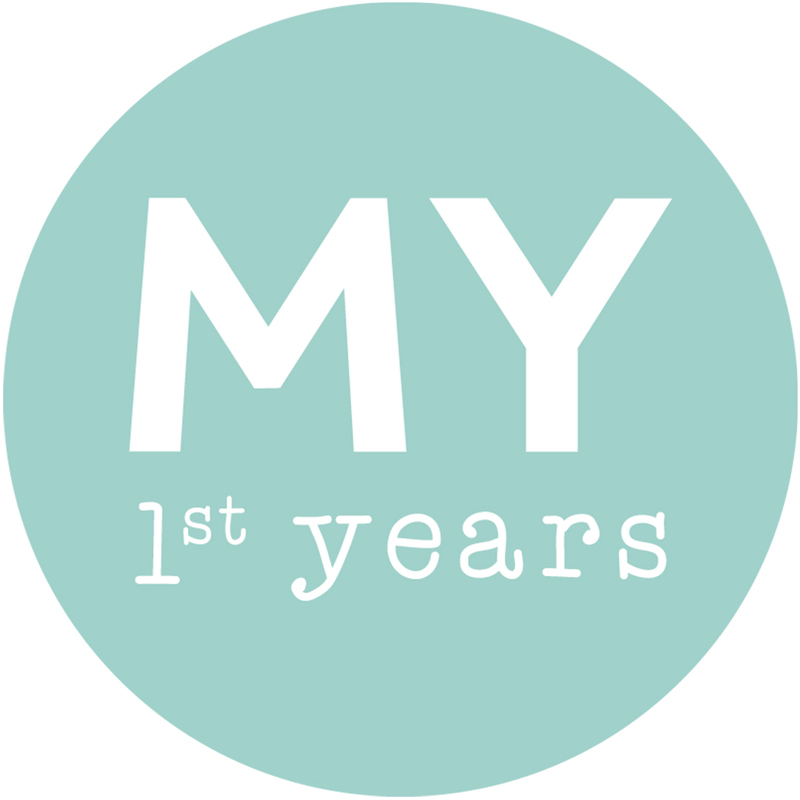 To register with My 1st Years, simply visit www.my1styears.com and fill in your details.